emotional problems due to a lack of bonding with the mother in the early formative years and as an infant. These children can be violent and some have injured and even killed other family members and children. and have just finished reading about several children who have harmed other children and I am scared. and obedience to Him we place our entire future at risk. stand! God help me! I can do no other!” he was displaying how the fear of God won out over the fears of man. up drove him to those church doors. He also promised that it would be easy. “God help me! Here I stand! I can do no other! can call God our “Abba” or daddy. director. He didn’t say he was building a foster home so that St. Peter or St. Paul could be our foster parents. we could call God our daddy. The model God chose for us was adoption. Well, I mentioned that we had the privilege of being invited for dinner at the home of a Ukrainian family here in Knoxville this past Monday night... It's friday now and so I suppose if I am going to tell you about it, now is the time! We really had a great time. I mean it. They were so friendly and Vera, the lady of the house, speaks quite good English. Her husband, Alex, has improved greatly in his ability to communicate in English since Steve first met him! They have five kids who were hidden somewhere in the house for most of the time but appeared sometime later in the evening. Beautiful kids. And our kids were so well behaved, well...except that despite our 'talk' in the car on the way over, Annette refused to try the Borscht! She missed out, though! Vera served us a veritable feast and kept insisting that we eat more! We had Borscht, mashed potatoes, pork, Palmanyee (that's as close as I can get to spelling it in English) which is a kind of meat filled dumpling. There was also a pretty three-tiered serving tray with a tomato and cucumber salad on the lowest level, fruits and something else I can't remember in the middle and chocolates and Baklava on the top. Oh, slices of white bread with the fruit. Now, normally, Steve avoids anything with potatoes (except fried), cucumbers, cabbage or tomatoes. So I was wondering how he'd enjoy the meal. We have been joking among ourselves about how we will be in Ukraine all this time and those are some of the main staples there!! But I'll tell you what-- We both raved about it all the way home! It was so good!!! Steve ate all his soup, and had seconds and was pressured into thirds--not because he didn't like it but because we were both getting full! He really loved the dumplings and I think he even ate some mashed potatoes but I'm not sure. Of course, except for the tomatoes which were easy to avoid, I love all those foods and assume that is what I will eat in Heaven! I loved seeing how the culture was different from ours. There was Babooshka in the kitchen cooking and taking care of Deodooshka (Grandfather). Vera and Alex called him Otyets (Father) and so I don't know his real name but he was my favorite! He wandered through where we were every once in a while and said stuff we couldn't understand and grinned, gold tooth gleaming. I think he was trying to show off some English but he was timid and mumbled and I couldn't understand a thing! Seriously, I wanted to hug him! Before we left, I went to the kitchen door and waited while Vera packaged me up some borscht and dumplings and insisted that I must take some home. Babushka was there washing dishes and I wanted to help but got the impression that that wasn't something to offer. I did tell her the the food was "Ochin Khurasho!" (very good) and she smiled and nodded, pleased but unable to reply. I guess she suspected (correctly) that those were the few words I knew! And I have to tell you that after the meal we went in the Living room and watched a few clips of DVDs that they have of some of the work Vera has done with an organization that ministers to the orphanages there. Very touching stuff. One that I that I can't help but mention was of a project to reunite siblings who were adopted apart. They had several groups of children but the children did not know what was happening. They were told to sit at a dinner table and when they did, they found that across the table would be their missing brother/sister. The one that was so precious was a girl, probably about 8, who looked up from her plate and saw her brother across the table and she just started sobbing with joy. She reminded me of Hannah. That is just what she might do. So precious. What these children have been through in their short little lives is unfathomable. Really. My life is such a cakewalk. I have never been beaten or purposely burned, raped by a relative in my own home, or ripped from my family and sent to live in an institution. I have never been so poor that we could only afford my father's liquor or had to go to bed hungry, again. You know, this is one of the reasons we are adopting. Because, in the grand scheme of things, any reasons not to are so shallow. Not enough room, not enough time, where would we keep that much more stuff?, they aren't biologically ours, money, etc... Do you see? They are all reasons that challenge our comfort, the bubble of "perfect-ness" that we have created for ouselves. Us, OURselves, Me, My.... If I have the capability to be a forever home for these children, how can I say that my "quality of life" is more important? God has sacrificed so much for us. Jesus certainly paid a price for my adoption into His family. How can I do any less? And you know what? What greater joy is there than to do the will of God? This whole thing is ups and downs, joy and elation, but throughout every step we have joy. From deep within. From Him. And I am filled with Love for these children whom I don't even know yet. They're a gift. Not an obligation. Not a charity but a labor of love. It won't be a cakewalk, but it is a very worthy endeavor, for now and especially for eternity. Archive Post: Is It Really That Bad? I was recently asked if the outcomes for orphans who graduate are really as bad as our video shows. Statistics involving child exploitation are very difficult to pin down exactly due to the nature of the crime. Ukraine has made great strides in the last few years and in some cases where good organizations like HisKidsToo, Samaritan's Purse and others are working the statistics are better. But the facts are there are over 700 orphanages in Ukraine and thousands of children graduate this system every year with no resources and turn to a life of crime, glue sniffing, and prostitution. The saddest part is that many of these children end up on the computer screens of Americans on an alarming basis. The Buffalo News did an incredible story recently and I would encourage you to read it here. This story will compete for a Pulitzer! I wish the outcomes were happy for Eastern European orphans but more often than not they are not. We have tickets with United Airlines leaving Knoxville on December 7th and arriving at Kyiv Ukraine on December 8th. We are under $10,000 needed to complete the adoption and seeing God work on a daily basis. I have added a page answering about why we need a dentist referred here. We have been purchasing stuff for the trip and I went ahead and purchased an American football and a rest of the world football (aka soccar ball) to take with us to the orphanage. Tourist stops I would like to make include Chernobyl (not up close), Crimea, and Odessa. Not sure I will make any but who knows! I am still planning on taking a swim in the Black sea even though it will be December. I may never make it back! We will probably be switching the website to a blogger hosted account soon because it makes it easier to post pictures, video, and allows easier comments. I hope to start answering some of the many questions asked soon. This week we have reached two milestones on our journey. The first is that we have finally booked our airline tickets and the second is that we have now gone under the ten thousand dollar mark in our funds needed category! I'll have Steve post later about the airline details. I know some of you are interested in the details since you are getting ready to do the same thing! As for the money...Praise God! and thank you to all of you who have been so generous and self-sacrificing. Your gifts mean far more that you'll ever know. I enjoy lists! Do you? I like the feeling of getting to cross items off and knowing immediately what to do next. But I have never left the country and certainly not for over a month! So making this list is the tricky part for me! Steve is constantly list-making lately; lists of outdor projects, people to contact, indoor projects and even a wish-we-could-do list! Less than two months!! I'm so excited. Can you believe it!? I am not even worrying about the finances. I admit that I was, but every time I started getting discouraged, I felt ashamed of myself when God showed up! Steve has had quite a few of his customers give him gifts of $50 or $100 because the heart he has for these kids is just contageous! Then we were at Shoney's for breakfast a while back and the couple sitting at the next table over struck up a conversation with us. The girls told them that we were adopting three children and they wanted to hear all about it so we visited awhile and then gave them a prayer card. Out in the parking lot, the man drove up beside us and got out and handed us $100 through the window! And just yesterday, a friend passed along a $100 gift from a mutual friend of ours whom I haven't seen several years. So, I am not worried. He owns the cattle on a thousand hills and He will provide! Praise be! and this is just a small sampling. Steve's parent's church members have sent us gifts as well. These are people whom we don't know but who love the Lord and care about the children and just want to help! So instead of being anxious, I want to keep remembering to be extremely grateful--to those who have reached out to us who do not know us or just want to show their love and support, and especially for whom the gift was a sacrifice financially or their time and energy. And I have not forgotten all those of you who express your love through prayer! Because I am most thankful to God who is the Great Orchestrator of this abundance of blessings! Yep, I'll be needing to do my Christmas shopping early! Who knows what will happen because of the holidays but it seems a pretty sure thing that by Christmas we will be with our newest little ones! Now I get to start the list making....who am I kidding? I already have!! Thank you for waiting with me! Now don't leave. I love your comments! They are so encouraging to us. Still no word on an appointment. We aren't expecting to hear anything until at least this afternoon going by our facilitator's pattern of emailing. Also, I can't seem to log into blogger. (for those of you who watch our other site, www.theeimers.blogspot.com) Every time I try to sign in or post a comment to any of you, the connection "times out" and I lose it. Very frustrating; especially since I often do very "wordy" comments! Anyway, I am still watching your news but I am just reduced to "lurking". I can't post on my own site either (just this one) since I can't sign in. The problem seems to be with Blogger since "waiting for blogger to reply" is where it keeps getting hung up. Anyway, now you know. All that said, if we get the news of an appointment date before the Blogger thing is resolved, this is the only blog that will have the news; so our faithful friends, relatives and/or prayer warriors here will be the only ones in "The Know"
And, yes, I do think it's because you're special! Keep praying. No news on "news days" is a killer! We just really want to be able to plan!!! I mean, would it kill me to do my Christmas shopping now in case I'll be gone then? No, of course not. But it would be nice to know if I have to or not!! I know, I know--the spiritually correct thing to say is, "All in God's timing"! I will say that I do believe that he will work it all out for His Glory. And for that, I am proud to be a part of His plan, but I also know that there are many instances where His timing wasn't executed. Not because we can thwart His plan while He watches helplessly from the Heavens (not even close! ), but I don't know why He allows what He allows, knowing what He knows. I trust His sovereignty and since this is all for Him, that is my comfort. Yep....Still waiting..... Any day now! Keep us in your prayers. This waiting thing is sometimes discouraging and sometimes not so much, but the longer it takes, the harder the wait. Please pray that we will "wait upon the Lord"....happily. I was off by a week! Steve told me this morning that next week is the 6-week mark, not this week! Well, I am checking the email every chance I get: It is very likely that we will hear of our appointment this week!! I suppose that if we don't, we will be concerned. This is the six-week mark that has recently become the norm depsite the fact that they are supposed to respond within 20 business days. We were hoping it would speed up with the passing of summer and the end of the vacation season but so far, apparently not! At any rate, we're still here! We have moved to having more cash on hand to cash needed to complete the adoption. We now have $11,900.00 in savings and $11,600.00 to go. We are now on business day 21 of our 2o day wait but that is not abnormal. The SDA has been taking upwards of 30 business days and that would put us on the day after the parliamentary elections so whow knows! Progress is being made but the entire process is characterized by mad sprints followed by even more maddening waits. Well, so that we have something to talk about while we wait to post the news of an appointment date, I thought I'd tell you all that we've had prayer cards made up! Steve owns a window cleaning business, as many of you know, and he traded services with a friend who is a photographer and who was able to help us design the cards. Our cards should be ready in the next week or so. If you read our blog but would also like a prayer card to help you remember to pray or even to share with others, then please email us with your address and we would be happy to put one (or more) in the mail to you! If you are a family member, don't bother--you're getting one whether you want one or not! HeHe. Thanks for praying already, as so many of you do. I am sooo excited to meet these children soon and bring them home! What a blessing! Archive Post: Very Good News! Finally good news â€“ we managed to submit your dossier today. ... itâ€™s there and in about a month or so your dossier will get its registration number and an appointment date (usually now within 3 months). Steve wept. My jaw dropped. We were totally not expecting this! This puts our travel time likely to be over the holidays. probably most of December and some of January. We are soooo thrilled! Now, this doesn't mean you can stop praying but you can surely add a praise to your list!!! Thanks for lifting us and these children up to God in prayer. It means so much! Archive Post: Yard Sale Complete! Baked goods at the yard sale. My mom also put out coolers of sweet tea and water just for free drinks because it was so hot. I had made cupcakes and brownies and sold all but one brownie and 3 cupcakes...well four, I guess, I forgot about the one Ivy swiped. It is hard to resist sprinkles and icing when you're two years old! I am sooooooo glad to be done! I am beat and a bit sunburnt, but our yard sale raised 250+ dollars and Hannah raised over $20 of it herself with her little entreprenurial streak that I am sure she has inherited from her dad! I guarantee she didn't get it from me! Hannah had the idea to do a magic show but since she only has one trick that she can do really well, ( disappearing coin) so she did that one over and over free of charge for each and every customer all day long. She even made herself a jar marked "donations" or as Annette said, "Dalmations". She loved the opportunity to help us get her brothers and/or sisters and I loved seeing her do her little performances! Thank you to the several of you who donated items for sale! I feel so good to have my garage back!!! Yahooo! So glad to be done. (or did I mention that?) Yard Sales surely are a whole lot of work! By the way, this week also brought another generous gift! This time from one of Steve's customers! You know who you are....Thank you sooo much! I am not kidding but Steve woke up that day feeling so down about this money thing. We had just heard from another adoptive family their report of expenditures--it was a lot. Somewhat more than we had expected. I think they spent a bit more freely that we will but still.....Anyway, that day--that day---Steve's dad called to say that this donation had been made. Let me tell you: it was the same way last time we were feeling discouraged. God keeps looking after us. What blessings he gives! Well, we have a bunch of money to raise! Nothing new there! Maybe you've noticed that the thermometer on the home page has marked more funds received (praise!!) but also more funds required! ( Eeek! ) How did that happen? I guess that is the nature of international adoption. Aaargh! (Aaargh. Is that a word handed down to us from the pirates or did the modern pirate legends steal it from the Charlie Brown Peanuts comic strips? Such an appropriate way to express in a few letters both frustration and something else...not quite sure what...) Anyway, with the extra days there in Ukraine for the passport thing comes extra expense. We are looking at the possibility of making two trips or perhaps one of us staying and one coming home for a bit. That would be nice in a way. We'll wait and see what works for others, though. No new news on the dossier; I guess it didn't make it in this week. Not that we were expecting it to. We always hope, though. Well certain opponents of adoption in Ukraine have struck again! They have added another 10 day waiting period for passports. This new wait is in addition to another 10 day wait period for the finalization of the court decree. Our stay will now likely be over 40 days. I thought when I re-did our budget yesterday I was set now we need to plan for another $1,000 in cost! Many anti-adoption rules have been implemented this year without legislation and that clearly violate the civil rights of Ukraine's most vulnerable citizens. These young orphans have a right to be registered for adoption, a right to be offered for adoption, and a RIGHT TO BE ADOPTED. Please pray that the elections of September 30 will be favorable to the Ukrainian orphans and that the wild disregard to their rights will stop. This has slowly (quickly I mean) been climbing as time keeps dragging and in addition the American dollar is extremely weak and this is causing prices to climb. Total costs paid to date: $9,235.04 of which $7,911.77 has been paid in cash and $1,323.27 is a non-interest acruing debt to our first aka fired MD. In addition, we have purchased a vehicle and made improvements to our current home that will accomidate the size of our new family amounting to $7,013.87. We have saved the funds needed to cover the lost income for the 4-6 weeks we are in Ukraine. At this time we are $12,815.61 short of what we will need to complete the adoption. 1. The $12,815.61 will be provided to complete the adoption of these lost children. 2. That we can find a dentist who will choose to partner with us to help bring our adopted children's teeth up to where they should be when we return. 3. Most of all please pray for our children who are in a desperate and untenable position and and that the SDA in Ukraine will accept our dossier. I saw this quote on the blog of an adoption friend today. She wrote it over a year ago and I am not sure if it was original with her but I will give her credit anyway! "A child doesn't have to grow under your heart to grow in your heart." Thanks, Leslie for this little phrase. I think I will put it in a picture frame or something. We are still waiting for word of submission. I guess it didn't happen this week...there is always next week! Steve scheduled a call with our consultant yesterday to discuss our options. From what we have heard, it has been extremely difficult to get anything submitted. So, because of this, we wanted to see what we should expect as well as to make sure we aren't just spinning our wheels in Ukraine. The conversation was helpful and mildly encouraging. It still is an unknown as far as when things may start happening for us but she assured us that it will eventually happen. she said that especially for us, who are young and willing to take three, it should be smoother. I hope she is right! The election is coming up at the end of September and that is when Cathy (Our consultant) expects things to start moving again. It seems that the trouble is that there are all these social workers but no supervisors and that it is a case of the fox guarding the hen-house mixed with while-the-cat's-away-the-mice-will-play where nothing much gets done. So, we pray! If you know Steve, then you know that having no control and depending on a system that you have little to no faith in is very hard for him! He likes to get moving and get done. He also is anxious for the children and the expense and hassle of having to keep re-doing paperwork to keep our dossier updated untill its submission. Please remember him especially. Well, what looked like a real possibility of submission for us fell through for us this week. Disappointing, to say the least! We had heard that we could expect our dossier to be submitted today but found out that not only would that not be possible, it is unlikely to happen within the next month or two. This is discouraging to us because it means re-doing a bunch of our paperwork. In fact, Steve is leaving Nashville right now where he has just finished getting our updated physicals apostilled and fedExed to Ukraine--AGAIN! We were encouraged to hear that someone donated $500 toward our adoption expenses this week. What a blessing that God reminds us that he will supply as we need it. It would please me if he would supply it all at once so I wouldn't worry but then, I wouldn't learn how unnecessary my worrying is! I think of the verse in Hebrews that says that we are to "endure hardship as discipline". This is something that is hard to do at times but if God wants me to learn something best learned through trials, then I want to get started right away learning my lesson so I can move on!! We are so impatient. Impatient to meet our children, impatient to raise the funding, impatient dealing with paperwork, impatient, impatient, impatient! I heard a quote from someone once, though that said, "Never pray that God will teach you patience; He just might do it!" Of course I am joking. I do want to learn patience! But learning can be hard. Right? As always, Pray for us! I went to Walmart today to do my grocery shopping and they were making room for the school clothes (Yikes! Already?). This means a bunch of racks of super cheap clothes. I first spotted a couple of pairs of sweatpants for $2 each and then I saw a three-piece outfit for $4 and further on found some t-shirts for $3. So I bought some things in several different sizes. Mostly all boy's stuff (that's a first for me!) since we have girl's sizes up to 7/8 pretty well covered around here! We can take these clothes with us when we travel and anything that doesn't fit our kids we can donate to the orphanage there. We laugh sometimes about a couple of different things; one is that even one boy in this house would be a major change from the Barbie and My Little Pony messes we are usually cleaning up. And the other is that if we go to Ukraine where boys outnumber girls 3 to 1 and come home with all girls we'll know God just plain doesn't trust us with boys! So that makes us kind of famous, I guess! But not so famous that we take it for granted. Just famous enough to still feel the need to brag. LOL! Where have we been? I hope y'all are paying enough attention to notice that we have been missing in action for a while! I'll just blame our absence on some faulty internet equipment and that should about cover it. I am sure many of you have had to deal with computer woes and will sympathize with me! Things are happening, sort of. What do I mean by that? Well, our dossier (paperwork) is in Ukraine and has been for some weeks now. We are still waiting for it to be submitted. This only can happen on Mondays and "Our Monday" has not come yet. The only indication of when that may happen is from our translator, Valentina (who has the dossier and will be the submitter on our behalf). Steve asked her if she thought we should re-do our medical physicals since they will expire in early August or if she expects to be submitted by then. I was encouraged that she told us that she hoped to be submitted by then but since many things do not depend on her, that we should go ahead and get them redone. It encourages me because our time is at least on the horizen! Should we be submitted by August, the pattern has been that three months from the date of submittal comes the appointment. This could very possibly put us there in November which is Steve's biggest month of business. Although we will be so excited to be able to go, we are concerned about the loss of imcome. (naturally) We are thankful for Abel, Steve's new employee, who will be here and should be able to hold down the fort while we are away so that those weeks of absence will not be a total loss financially. Please be in prayer for us. Finances continue to be our major source of concern in this phase of the process. I personally am hoping for an early July submittal with an earlier-than-usual appointment (a possibility on account of the fact that we are adopting three and they may want to hurry us in before we come to our senses!). We will trust God that whatever happens, He will supply all our needs and work these things into the greatest good possible as only he can do. Praise be! If you are able to assist us financially, please consider doing so. I am asking outright because it is so important to us and for these children. We are hoping to go without racking up debts. If we have to, we will, but we are sure there are people out there who understand our reluctance to add the stress of a large amount of debt to the already unpredictable and emotional situation of attempting to adjust and blend our new family. I would normally cringe at the thought of asking for money but adopting these chidren is something I believe in so strongly and so passionately as being truly good that I have no quams whatsoever; instead, I am almost eager! So please, consider how you can help. Maybe you don't have the money but you know someone who does. In any case, and no matter what, pray. We need you! This is all so thrilling and so terrifying at once and I am so excited in my anticipation of meeting my children that I can hardly stand it! I am constantly breathing prayers, trying to cover every angle I can think of. Not because I am afraid God will not provide but because I am always wondering "what if?" and "who?" and "what emotional baggage?" My most common prayer is that God will prepare their hearts to love and to be loved despite the sure fact that life has been harder for them than we can imagine--and them being only small children. Pray for them with me, if you will. That is what is on my heart today. Thank you for your interest, prayers and support that so many of you give to us in so many ways. We appreciate you more than you will ever know. I've gone and gotten wordy again. Hope you've made it this far! I call this picture, "Has Anyone Seen Annette?" She is there in the middle of my garage before I tackled it today. We've been stockpiling stuff for a fundraiser garage sale but the stuff has been reproducing and sale-stuff and non-sale-stuff were getting mixed together in one giant jumbled mountain of --well--stuff! Who enjoys cleaning out the garage? Still, it didn't take me as long as I expected it to and now I keep opening the door and looking in to admire the fruits of my labor. I've been systematically trying to get the whole house organized and de-cluttered. I am hoping to bring the children home to a welcoming environment and I don't want to spend those last precious days with Hannah, Annette and Ivy cleaning out closets and frantically trying to plan for our month-plus absence. I want to be ready--or at least have a list that I can plan on using as my guide. I can picture myself lying awake at night thinking about who is going to water the plants or mow the lawn or make sure the bills get paid! If I just plan now I can save a lot of stress later on! So, I am nesting. Preparing for my young--but not to be born--to come home. Steve is being cautious about the work he schedules for late fall. That is when we suspect we may get our appointment. It could be earlier; it could be later. I may have to clean out the garage again before then! Yeesh! I hope not! We're still waiting for our paperwork to be submitted. Please keep this in your prayers. Our paperwork is in the hands of the translators now and our translator, Valentina, will submit it when she is able. First she must translate it all and then she will submit it to the SDA when our turn comes up. A lot of waiting! It is pretty exciting to think that for my next Mother's Day I will probably have double the number of children in the family to be thankful for! Praise the Lord (in advance)! I was just thinking this morning that I should start making a list of things that need to be done before we leave for Ukraine. When they do call for us, we will likely only have a week or two to prepare for the trip. I will be so excited I am afraid I will forget things like who to call and little things like that! We have to plan to be gone at least thirty days! Eeek! Well, Maybe you have noticed that our home page has had a makeover; if not, check it out! Actually, It has had two makeovers but this one is more asthetically pleasing. We have also added a "thermometer" as a visual to show you all where we are in our available funds. Anyone can donate using the "Donate Now" button under the meter! The package is in the mail to Ukraine! Monday we chased around getting the final certifications from the counties our documents originated in. Then we all headed west to Nashville, our state capital, where the documents would have to be apostilled. We were able to stay with my lovely sister and her handsome husband in their home. On Tuesday, Steve went and got the apostilling done and came back to get the girls and me so that we could all go together to FedEx to mail the package. Steve filled out five forms before he got one perfect and handed it over to the man behind the counter. Hannah videotaped the whole thing for us. Phew! All that work and now we hand it over to somebody behind a counter to be tossed together with a bunch of other envelopes probably very few if any of which hold the future of little orphaned children inside of them. It seems like our package should have been the biggest box, tied with a huge red bow and followed by a marching band instead of tossed in a pile and marked with a "$0" under 'value'. Now our role changes from gathering documents to being patient. Waiting. We do have $10,000+ to raise so we won't be sitting idle while we wait! Every day brings us closer to the day that our children will be with us. I wish we knew when that would be! We'll keep you updated. Thank you to all of you who have donated to us through the card sales or just with monetary donations. We hope to put a counter of some kind on the front page to keep you all more informed about where we stand in our fundraising. Thanks for your prayers! Don't stop now! God is good, all the time. It's just that sometimes that phrase rolls off the tongue a little easier than others! LOL! We all know that! I am so pleased to tell you al that Ukraine did open up to new adoptions yesterday! (audible sigh of relief here!) They have been in such political turmoil over there that their foreign adoption program had been shut down. At first they said it would be through the end of April and then through April 16th. Even that date was questionable. We wondered about changing countries but Steve said that for some reason he had a feeling we should stick with Ukraine. (If you know Steve, he doesn't normally put much stock in 'feelings'. He normally would do what seemed most logical.) Even I keep thinking that it seems that God is paving the way to Ukraine. Our immigration form coming back so quickly was a real encouragement to us and especially to me. I believe that we are always called to do the work of the Lord, helping orphans, widows, the poor, overseas missions as well as here in our own neighborhoods. At the risk of stepping on someone's toes here, I do not believe that we are to ask what to do and then wait for a "feeling of leading". (Not that God doesn't communicate this way, just that He'll seek us.) We are to act on his revealed Word. This is what Steve and I have sought to do in pursuing this adoption. Jesus said that whatever we do to the least person, we might as well be doing it to him--He takes it that personally. All that said, I do believe that God has been leading as well as cheering us on while we run this race. What an encouragement it is to see him blessing our efforts. How amazing that He does hold the whole world in His hands! Even little orphans in Ukraine. Oh those little orphans! I can't wait to hold them in my arms. My prayer is always that God will prepare them to be loved and to love and me to love without expecting love in return. This will be a challenge. Well, today we praise God for allowing Ukraine to open again and tomorrow we may question His plan if something doesn't go the way we want it to. Either way, God is good, All the time. Hooray! After only three weeks, the form that we have been expecting to take three months arrived in the mail! Hannah and Steve had been out this morning and brought it up from the mailbox; Hannah with cheers (she announced that the i-pod 7oo 70 H was here--It is called the I171-H) and Steve with tears in his eyes. We are so thrilled and excited. This means that we are free to finish compiling paperwork that we thought would have to wait a couple of months and then get our forms approved by our consultant and finally off to Ukraine to be translated. One small hitch is that they spelled my maiden name wrong and so we will have to send it back to be fixed or however that is handled. That hopefully should not take long. We'll see. This is the form that we specifically prayed over. In fact, Steve took it to church and had everyone in sight pray over it with him! Needless to say, we are very encouraged. This makes the reality a little more apparent and draws into even clearer focus the fact that we may have our little ones in our arms sooner than expected. We aren't holding our breath, though! Uncertaintly is the nature of foreign adoption. Please continue to keep us in your prayers. Particularly as we assemble the rest of the paperwork and especially because the situation politically in Ukraine is very unstable at the moment. They have closed to foreign adoptions through mid-April and it is unsure as to whether or not they will open again by May. Well, now that we have entered into a "waiting" phase and can slow down on chasing paperwork, we have started making more plans for fundraising. We have quite a bit of money to raise before we are called to Ukraine and the clock is ticking! We can't wait till the money is in before we send our dossier to Ukraine because our paperwork will expire. Our first fundraising effort is one that any of you can participate in. I have hand-painted several different designs onto greeting cards and we have them for sale here on this website's fundraising page. Check them out! I hope you'll like them and keep me busy painting! Well in the last 10 days Ukraine has looked as if it is closing to international adoption to not closing to Americans to definitely closing to singles and strict age restrictions for older couples. In addition the director of the SDA and several deputies have resigned and the director of international adoption has quit. Other than that all is stable and well in Ukraine. Surprisingly I am at peace with what is going on. There is nothing we can do so we will just keep moving forward and hope and pray for the best. Well, it's done! We have been fingerprinted and the information is on its way to Memphis to be processed! This is the part that we expect will involve a long wait. Please pray for a speedy processing time. We can't send any paperwork out until the social worker's licence is renewed in June since it is so close to expiring. But we will feel much better having the forms in hand! My sister lives in Nashville so we were able to spend the day with her and she kept the girls while we went to the immigration office. We were there around an hour waiting after we got the forms and handed them in to wait for fingerprinting. In that time we sat across from an older couple who was there because the wife, who was from Russia, had her name spelled wrong on her green card and also needed to change to her married name. We enjoyed talking to her and showing off our few Russian words! Steve was wearing his shirt from Moldova that says, "God's Design" in Russian. She confirmed that and also translated the word on the back for us: 'kurasho', good. We are going to have to go back again later for fingerprinting again because for some reason the two different forms can not use the same biometric fingerprints. Go figure. I have no idea why, but that's okay, we'll get to visit Bethany and John again. Sorry not to have posted sooner. I was having Blog issues. Here is the latest news and it turns out to be better than we had hoped for! Throughout the course of the day on Tuesday it was hard to sort out rumor from fact and now that the dust has settled, so to speak, we have found out that in fact, the quotas, which caused so much concern will likely not affect Americans. I don't know what happens with the Canadians and the Germans but this quota system is being challenged in Ukraine because it is actually illegal by Ukrainian law! Up until now one of our biggest challenges with the paper work is that while every piece of paperwork expires (most at the one year mark), Ukraine refused any dossier (all the paperwork) that had ANYthing expiring within six months. So it would seem that as long as all the forms were assembled within six months we would have plenty of time, right? Wrong. Not only did each form need the 6-month buffer but so did the license of every Doctor, Social worker, Notary and Apostille. Even the Adoption agency's license must not be due to expire within 6 months! I cannot tell you how difficult this is to accomplish and these licenses could not be renewed early (we checked!). In waiting for one, another would time out and on and on. Someone petitioned the US Embassy in Ukraine and they are now waiving this rule for Americans! Apparently, the problem comes because of the system by which we do our license renewals. It just was not "translating" into being do-able. Now, the rule is just that the licenses must be current at the time the paperwork was assembled. This is a huge relief! With all this, we are still likely staying with Ukraine. We will decide for sure this week. The reason we still have hesitation is that we worry about the stability there. We continue to ask for your prayers. I find myself thinking of the children often and am so looking forward to just getting them here. Archive Post: Breaking news... Pray. We just found out that Ukraine has now decided to limit the number of foreign adoptions it allows. The number is based on the average number of yearly adoptions per counry MINUS the number of non-compliant (people who do not continue to send in yearly progress reports as they must agree to do) adopters. This number ends up being only 75 for Germany and 24 for Canada. Both of these countries have already maxed out for the year. The U.S. is alotted 320 but this large number only represents a higher number of adopters in this country and the percentage will likely mean that it is maxedout by late spring. We are waiting now to hear from our consultant as to her reccommendation but we were just about to get our fingerprints done and then send our imigration form to USCIS. Now we have been advised to hold off on doing this as we may have to switch countries. I am sure I do not need to tell you how discouraging this is since to change will be very costly and would involve finding an agency (we are now independant) not to mention delay the process. Please take a moment and pray for this situation. If we had to be stopped mid-stream, we were days away from it being even more of a burdeon. I am thinking also of families who were further along than us . This is very punitive on the part of the Ukrainian Government but it is meant to act out against families that did not do what they had promised and it turns out to punish everyone involved EXCEPT them! They already have their children. Update: Our consultant just told us that she's being told that this is a quarterly quota that should not affect the U.S. I hope that is true! We will keep you posted. She is just finding out the details herself. Keep a look-out on our fundraising page for our first fundraising effort. I am hand-painting greeting cards to be sold in packages of 12. So far I have two packages-worth done so I will need to step it up! I'm hoping orders start piling in. I was listening to my Russian last night wihile I painted and Steve, from the living room, said what I was thinking, "I just want to GET there!" Spring is starting here and having a touch of the spring fever just magnifies our desire to get going! We are still waiting for our petition to sponser an imigrant child form(I600A) to be prcessed. This is the part that is expected to take several months. Steve took it with him to church the Sunday before we mailed it and had everybody we saw pray over it. The first part of it is expected to go quickly. They get the form and then send a card to us so that we can go to Nashville and get our fingerprinting done. Then we send it back and settle in for the long wait. They have cashed the check so we know it is there! Some have asked about the insurance situation. We have gotten that worked out so that we could get a group plan for the business and put us on it. This requires that adoptive children be treated the same as any child born to us naturally. No pre-existing conditions. We still are intending to fight the battle with TRH but not yet. Business is picking up again. When spring comes and the sun shines everyone starts calling at once. Steve has almost no work for the month of January but now he has every day this week booked, starting today! This is a mixed blessing since we need the money more now than ever but it is hard for Steve because he has a hip problem that seems related to his work that keeps flaring up. Please keep him in your prayers. We are working on learning our Russian. I am planning to order a set of books and tapes to listen to in our our car but we also have a CD set that is more designed for tourists. We started out wondering if we would ever say a single word but our tongues are starting to give in to the extra ordinary demands of the Russian language! Thank you to all who are praying. We appreciate this more than you know. We are submitting our I600A petition to sponsor an immigrant child/ orphan with the USCIS which is the old INS. We are forced to do this at the Memphis office. Please pray that this form will not be delayed and will be processed in a timely manner. We have our in home visit tomorrow and our sending the I600A in after that. Pray that the form will be processed expeditiously. We spent the day in the Atlanta area attending a conference on parenting hurt children. Actually, it was designed more for social workers but it was great for us, too. The speaker, Dr. Gregory Keck, was very entertaining while still being extremely relevant and imformative. I was a bit prepared for the topic having read his book but Steve hadn't read it yet and either way we both got a lot out of it. He talked quite a bit about extreme cases but pretty much all these children will have some kind of attatchment issues. It may be quite an adventure! wide-eyed little girls we already have. We will need your prayer. My mom kept the girls while we were at the conference. I am so thankful that my parents are here in Tennessee now. The girls love to go there and when I called them this afternoon, they were having a ball painting pictures. I don't think they even remembered to miss me! I am sure that having family nearby will prove to be an invaluable asset to us in these coming years. The hotel where we stayed last night turned out to hold a few surprises. Steve noticed the Eastern European name of the girl behind the desk and found out that she was from Russia. We amused her by "practicing" our "Russian" (if you can call it that!) on her. We had the hardest time just saying "Hello"! She said that I said it right but she just laughed at Steve. Thing is, I can only retain the correct pronunciation for about 6 seconds! I hope that becoming more familiar with the sound of the language will help us remember pronunciations better! This morning when we were checking out, the girl behind the desk had an obvious accent. Steve asked her if she was from Russia and she replied that she was from Romania. Steve told her that he had just been in Moldova and was a stone's throw from the Romanian border. Her eyes lit up and she said "Actually, I am from Moldova but I just say Romania because no one knows Moldova." Turns out she was from Cahul, the city where Steve had been based while he was on his shoe mission! She had started out a bit short with us but by the time we left she was all smiles and as we left, Steve turned back to her and said "Thank you" in Romanian. What a small world sometimes! 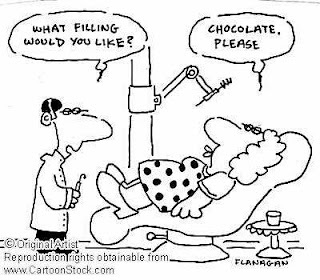 Many people have asked what is it that you mean by the "refer a dentist?" We have undertaken this adoption process on faith. When we initially started the first year direct and indirect costs were budgeted at nearly $80,000. This is much more than we make in a year! Through God's provision and careful choices we have been able to trim this direct and indirect costs to about $55,000. Through aggressive saving and generous gifts we are now within $10,000 of what is needed to complete the adoption of these children. We have a limited amount of dental insurance that depending on circumstances involving our children's dental needs could be exhausted very quickly. Between the adoption expenses, costs associated with adding three children to our family, and the likely loss of two months income this is a major endeavor. Anyways, children who come out of the orphanage system have terrible mouths. Both foul language and foul teeth! Melissa and I will work on the foul language part. Although I have a drill and wrenches we unfortunately cannot work on the foul teeth part.We often hear of dentists taking mission trips overseas to care for the teeth of disadvantaged children. We are seeking a dentist who wants to take a mission trip for Ukrainian orphans without leaving his office. If you are a dentist or know a dentist who would want to partner with us to repair these children's teeth if needed. Please call us at 865-986-3482.